In July 1894 the world's first car race takes place from Paris to Rouen. 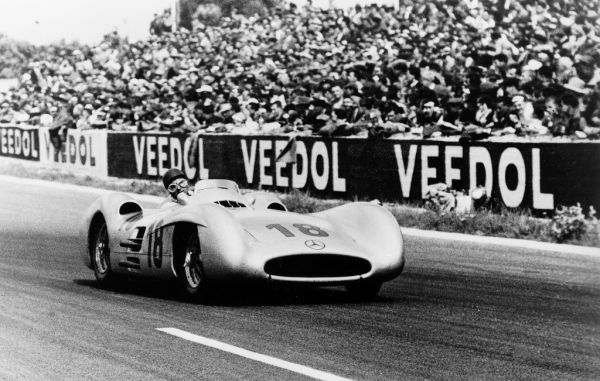 And so begins the successful motorsport history of Mercedes-Benz. The two winning vehicles are powered by an engine developed by Gottlieb Daimler and Wilhelm Maybach. photo caption: French Grand Prix in Rheims, 4 July 1954. 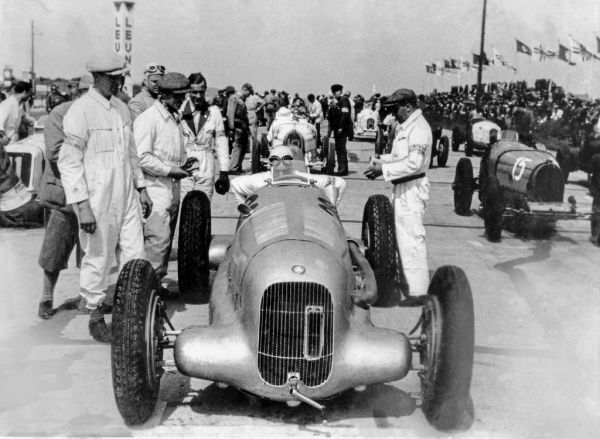 Later winner Juan Manuel Fangio in a Mercedes-Benz Formula One racing car W 196 R with streamlined body, start number 18. For 125 years engines and vehicles by Mercedes-Benz and its predecessor brands have ensured countless triumphs. In this anniversary year Mercedes-Benz Classic is publishing newsletters dedicated to the various formats of motorsport at regular intervals. From the first ever car race in July 1894 to the latest involvement in motorsport: the racing activities of Mercedes-Benz and its predecessor brands tell a success story that has its roots at the early time of the car. Since the 19th century the racing and rally cars have always been right at the forefront of sporting competition. photo caption: The first car race from Paris to Rouen, 22 July 1894. 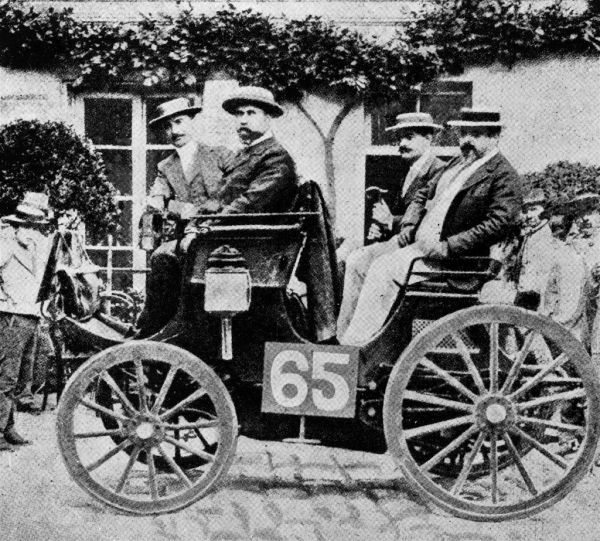 The Peugeot from Albert Lemaître (starting number 65), pictured on the left-hand rear seat Adolphe Clément. The Peugeot with an engine manufactured under licence from Daimler was the first vehicle with a combustion engine to finish the race, crossing the line in second. Their successes exemplify innovative technology, the irrepressible will to win of the drivers and excellent teamwork. No other brand has had the topic of motorsport enshrined in its DNA for as long or as intensively as Mercedes-Benz. Current wins such as the five consecutive Formula 1 Drivers’ and Constructors’ World Championships or the win of the Drivers’, Teams’ and Manufacturers’ Championship in the DTM 2018 as well as regular wins in customer sport continue the success story. photo caption: Nice Week, 25 to 29 March 1901. 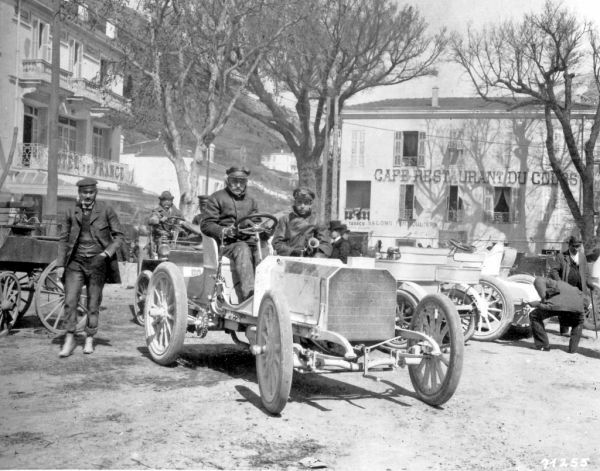 Baron Henri de Rothschild’s Mercedes 35 HP racing car in La Turbie after winning the Nice–La Turbie hill climb on 29 March 1901. At the wheel is Wilhelm Werner, who later became the German emperor’s driver. 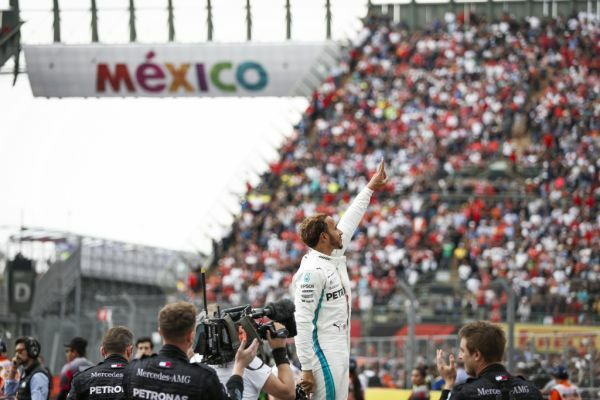 photo caption: Mexican Grand Prix, 28 October 2018. Lewis Hamilton wins the Formula 1 World Championship ahead of time. The Mercedes-AMG Petronas Motorsport team secures the 2018 Constructors’ World Championship two weeks later at the Brazilian Grand Prix.